In addition to Find X, Find X Lamborghini version, OPPO unexpectedly came up with a new gadget at today’s conference: O-Free wireless Bluetooth headset. The earphone adopts the same ice color blue and Bordeaux red color as the Find X. The shape is repeatedly debugged according to the human ear model, and the weight is ultra-light, which looks and is very comfortable to use. 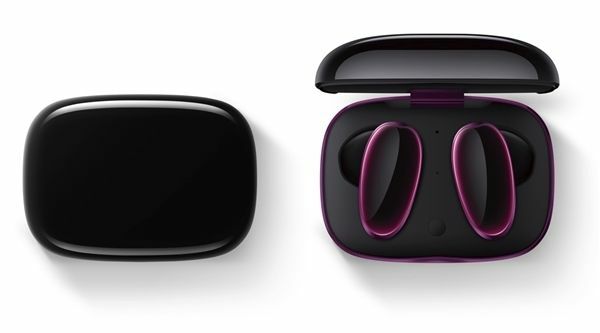 Built-in smart chip and support for TrueWireless Stereo technology, can greatly reduce the delay, it can also make the left and right ear sounds almost synchronized with the phone, and improve stability. In addition to answering calls, O-Free also supports accompanying translation, wake-up voice assistant, music control (adjust volume/play pause/change) and more. Low-power design, the headset unit can be used for 4 hours without interruption, and the charging box can last for 12 hours.